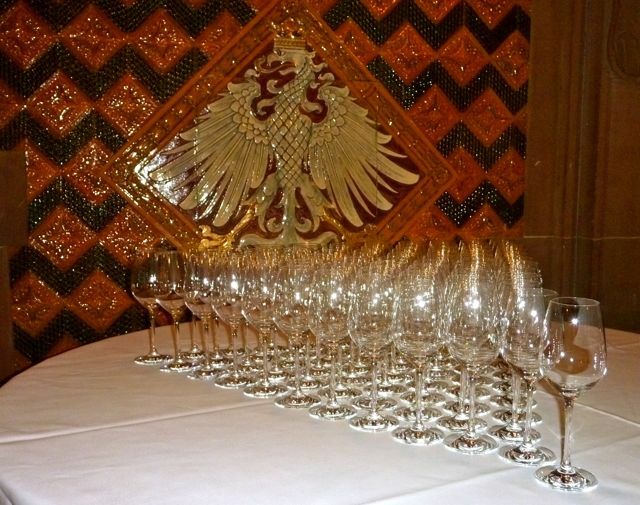 Frankfurt’s apple wine culture has been playing an important role in the city’s social life for hundreds of years. Every year, locals and visitors come together in the Main metropolis to celebrate Frankfurt’s most popular beverage with their very own Apple Wine Festival, which is traditionally accompanied by a highly entertaining stage programme. Typical Frankfurt folklore and dialect poetry provide old-school entertainment for both the young and young at heart, while nearby Hessian cult bands get their audiences singing and dancing. Relaxed lounge music is also on offer, providing the perfect atmospheric background for enjoying an unconventional apple wine cocktail. Many excellent types of apple wine are available for tasting at the festival’s numerous trendy booths and vintage stalls. Traditional apple wine made from time-honoured apple varieties is just as much a part of the offer range as are the trendy mixed blends and popular apple wine cocktails. Festival visitors will also find an excellent selection of apple wine merchandise on sale at the Roßmarkt, where the event is held. Those of you interested in taking back your very own apple wine “utensils” will find everything you need – from the typical ribbed apple wine glass to glass covers and, of course, the famous “bembel”, the blue-grey earthenware jug from which apple wine is traditionally served. 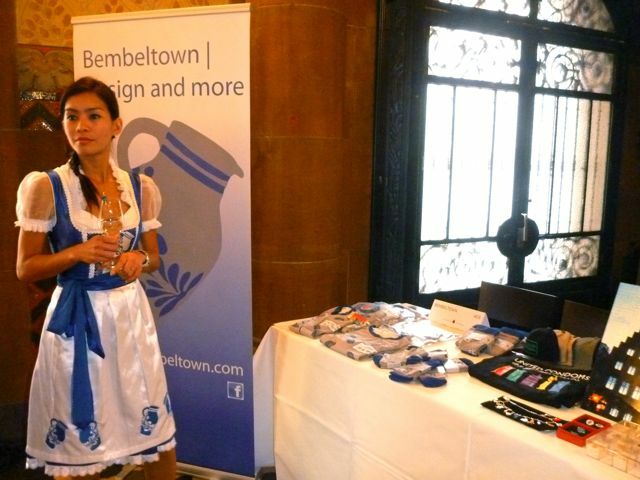 You are looking for Frankfurt Souvenirs and German Oktoberfest Fashion? Visit Frankfurts only original shop for Hessian Oktoberfest Fashion and unique souvenirs from the Frankfurt region. All regional designed products and handcrafted souvenirs. 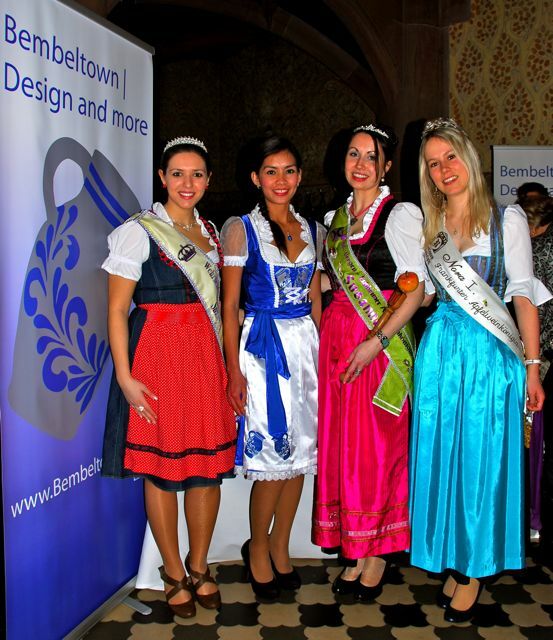 You find Bembeltown Design and more in Frankfurt Rödelheim. 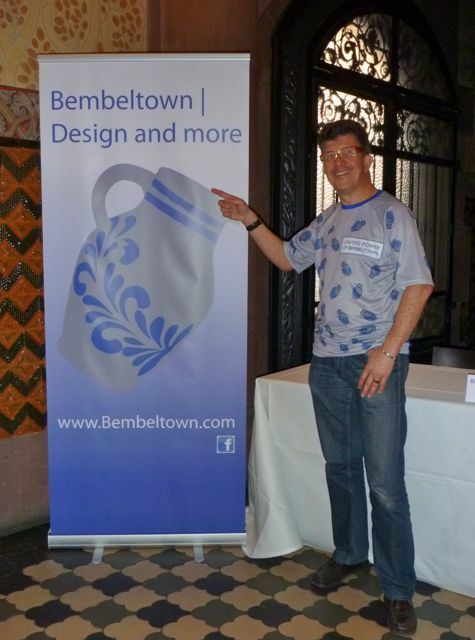 If you have not enough time you can also visit Bembeltown Design online.